since Cathi began working as a solo public relations practitioner in 2014. 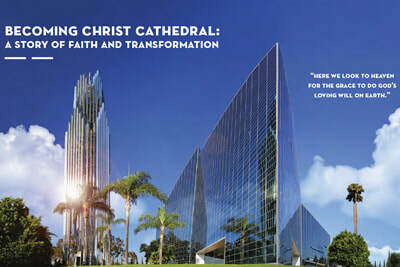 Client Ryan Lilyengren, APR, director of communications, first hired Cathi four years ago to write a coffee-table book designed to raise funds for the transformation of the former Crystal Cathedral into the new Christ Cathedral. Cathi writes news and feature stories every week for OC Catholic and provides strategic content to the diocese, including the development of books, brochures, websites, directories and annual reports. In addition, she offers strategic counsel and thoughtful input on public relations issues. 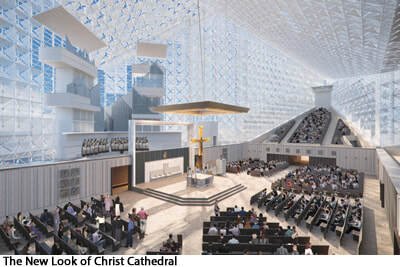 Cathi will provide ongoing support – including development of another coffee-table book – as the diocese prepares to dedicate Christ Cathedral in July 2019.